I am an Inclusion Specialist for my district and I take my job very serious as it is my passion! My job entails going into students classrooms and making sure they can access the curriculum, make modifications, and pretty much support in any way I can! This year our kindergarten class has a student who uses a walker as a means to get around. We made sure to get the special seats, potty seat, stools and everything we could think of but there was one thing missing! She can't play with her peers on the playground! The school has beautiful playgrounds, except the sidewalk stops shortly after walking outside making it difficult for her walker to maneuver, leaving her nothing other than bubbles and chalk to play with. Any child would tire of bubbles and chalk quickly so I went on a search to find a sandbox. 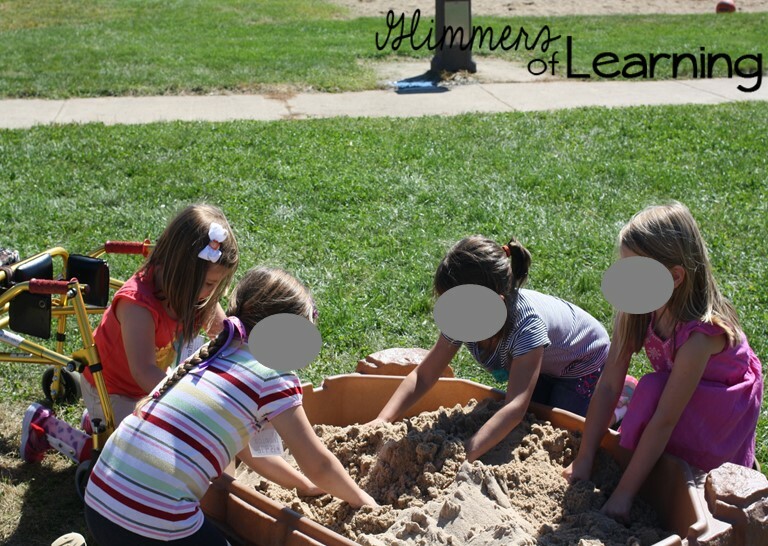 Do you know how hard it is to find a sandbox in September?! Let me tell you almost impossible! I had nearly given up when I walked into Sears to let my daughter "drive" the ridding lawn mowers and there was one on sale!! I ran right over to it and grabbed it right away! The man standing looking at another item on sale must have thought I was nuts! So now we have a sandbox for her to play in, which is great, but that's it! So I gathered up some different options and presented them to the principal. He said sure, find out how much and we'll see what we can do! Awesome! I was so excited that he was this receptive to the idea! Well, he wasn't just receptive he was passionate about this project! While I was researching prices and options in my office, the principal kept coming in and this project continued to get larger and larger! By the end of the day we were going to raise $50,000 for a new playground that she could play on! 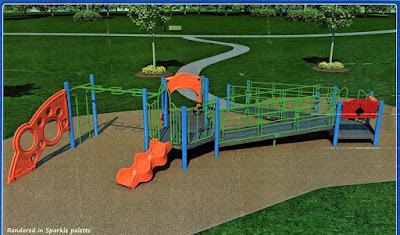 Why a new playground you ask when we could just put in a smaller piece of equipment. This amazing principal wants the equipment to be EVERYONE'S playground. 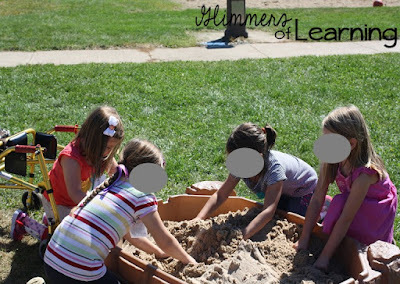 He doesn't want students to view it just as her playground but a place that everyone can play! What an amazing idea and person for having the drive to do this! I must say I thought he was crazy to raise $50,000, but I also knew I was up for the challenge! Mike, the principal, got in touch with the amazing Game Time and they gave us an amazing deal an a playground! So now we have the idea, actual plans and now we need funds! Our local news came out and did a story on our journey and we started a Go Fund Me Page! The Go Fund Me Page has taken off and we couldn't be more thrilled! You can view our Go Fund Me Page here. We also will be doing a Thirty-One fundraiser where 25% of the sales will go towards the playground! We are hoping with Christmas right around the corner people will want to do some Christmas shopping and also help out a good cause! 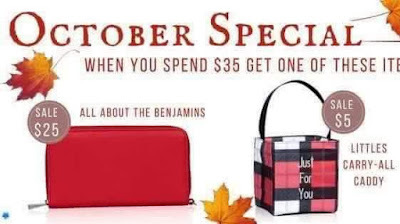 You can check out our Thirty-One Fundraiser here. We've got some great deals! Check it out! This sweet little girl is away having an intense surgery at the moment. She plans on being back in school around November 6th. 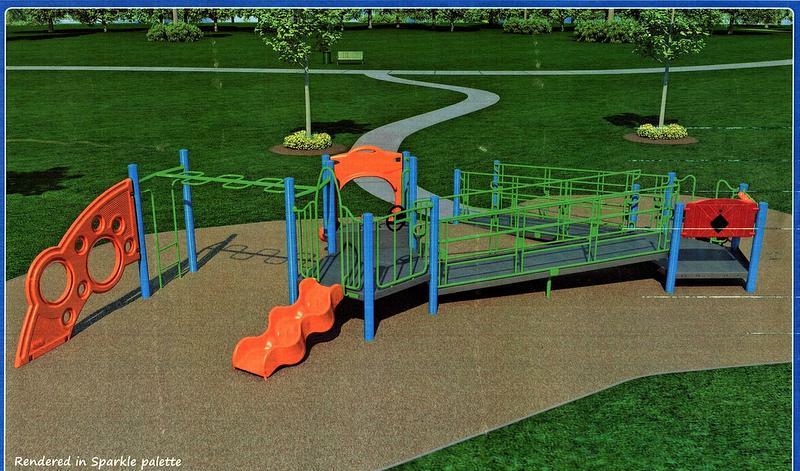 Our goal is to have this playground in BEFORE she returns! What a great surprise it will be that she can now play on the playground with her friends! Students with special needs tend to have some social deficits, especially when they go from therapy to therapy which includes all adults! Yet we exclude them for the most social part of the school day, recess! 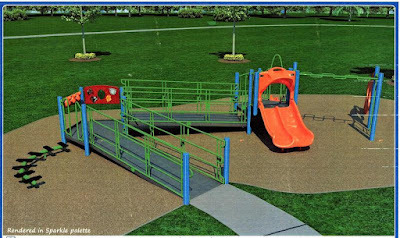 It is our hope that local schools and playgrounds follow our lead as EVERY school/playground should be accessible to all! 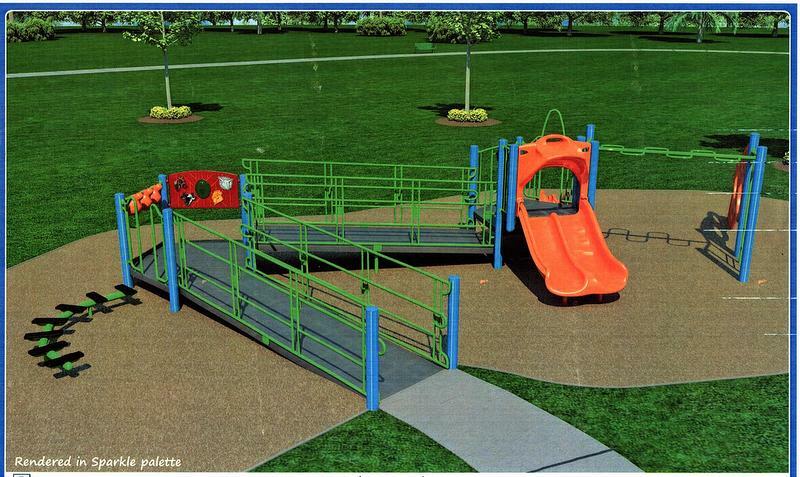 Help us on our journey to change the world one playground at a time!